A Great way to start the new year with my new Fun Gun, Super Comanche that Santa got me. Took awhile to get this Hare, he gave the dogs a good run through some thick cover. But finally got a shot at him. Dogs that ran today are Wahkisik's Blackdash Rocky and Barker Brook's Runum Ragged Andy. Both of these fine young Males are out of our FC Barker Brook's 12 Gauge Anny & Barker Brook's Blackdash Bogey. Rocky whelped (3/29/09) & Andy whelped (1/26/08). Ran the next day same place (thick cover) ....... 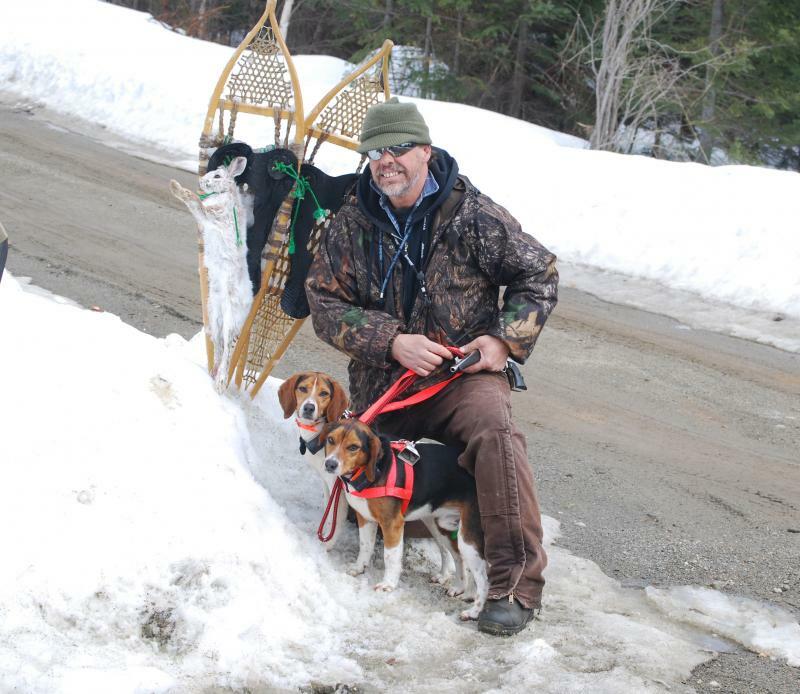 Dogs out today are Barker Brook's Blackdash Bogey, Xena Of Greenwood Forest, Barker Brook's Waylon Willie. Jerry gets the Hare today....NICE one!! Some young pups runnin the rabbit... Right on Line!! 10/07/11 ~ Me, Jack & Jerry with Barker Brook's Runum Ragged Andy, Barker Brook's Moon Eclipse (Whelped 1/30/11), Xena Of Greenwood Forest & Wahkisik's Blackdash Rocky. Jerry got these two on the fly with his new 28 Gauge Semi Automatic Remington. Dogs got a good work out.... Beautiful October Day to be out & enjoying the Great out doors!! 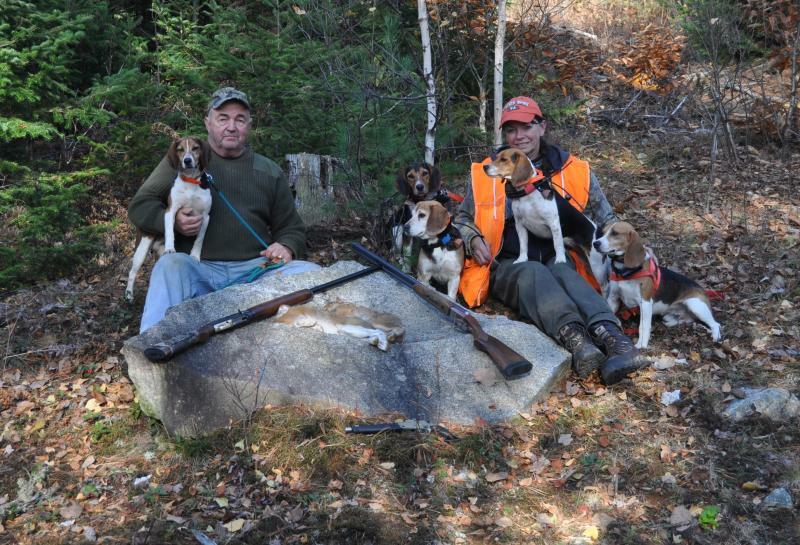 10/12/11 ~ A Beautiful day to be out Hunting today with Barker Brook's Lethal Lacey, Barker Brook's Dialed In Danica (Whelped 1/30/11 out of FC Barker Brook's Triscadeca & Barker Brook's Blackdash Bogey) & FC Barker Brook's Hare Raising Hulu. Rabbits are running like Spring time & taking the dogs on some long runs. They got some good running today!! Jack got this one... What a lucky shot!! 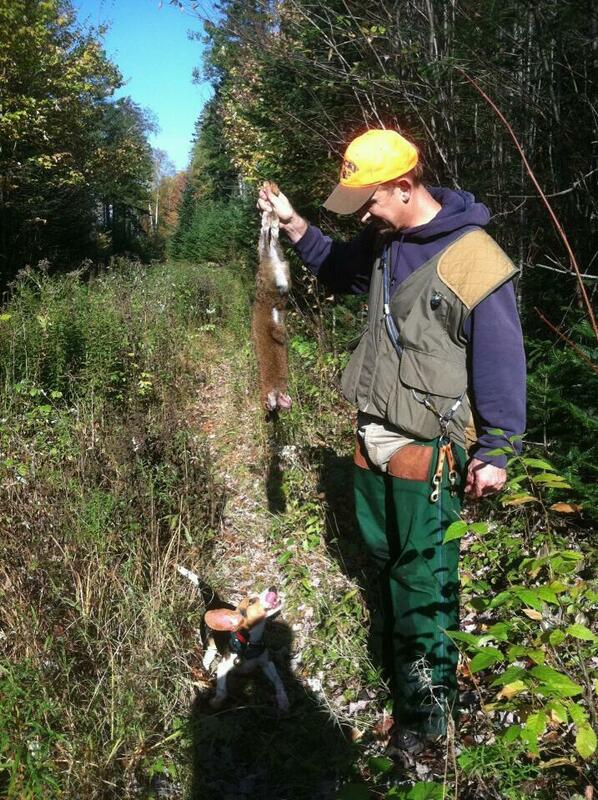 10/12/11 ~ Jack showing some young dogs the Hare he shot today. Checking out the Hare are Chocolatta, Moon & Piper. They all get their turn to run in the wild & be a part of the hunt. Today it was Danica's turn. Part of their training.... being part of the hunting team. Love running the young ones & watching how they progress!! Just amazes me!! 10/18/11 ~ What a Great day to be out & running.... these hare took the dogs for some good runs. Out today are ours dogs, (9 month old) Chocolat & Piper, out of FC Barker Brook's 12 Gauge Anny & Barker Brook's Blackdash Bogey, Moon is out of FC Barker Brook's Triscadeca & Barker Brook's Blackdash Bogey.... Jerry's dogs, Wahkisik's Blackdash Rocky & Xena Of Greenwood Forest ... Love October!! Xena seems to be saying these are mine, as she growls at the other dogs that want to get near!! 10/26/11 ~ Todays Hunt with Barker Brook's Runum Ragged Andy, Barker Brook's Blackdash Bogey, behind him Wahkisik's Blackdash Baron, (Andy & Baron are son's of Bogey & FC Barker Brook's 12 Gauge Anny), Barker Brook's Dejavu (out of FC Barker Brook's Triscadeca & Barker Brook's Waylon Willie), Wahkisk's Cosmic Cosmo (out of Xena Of Greenwood Forest & Barker Brook's Waylon Willie). A Fun day with this nice pack of dogs.... going to hate to see October come to an end. 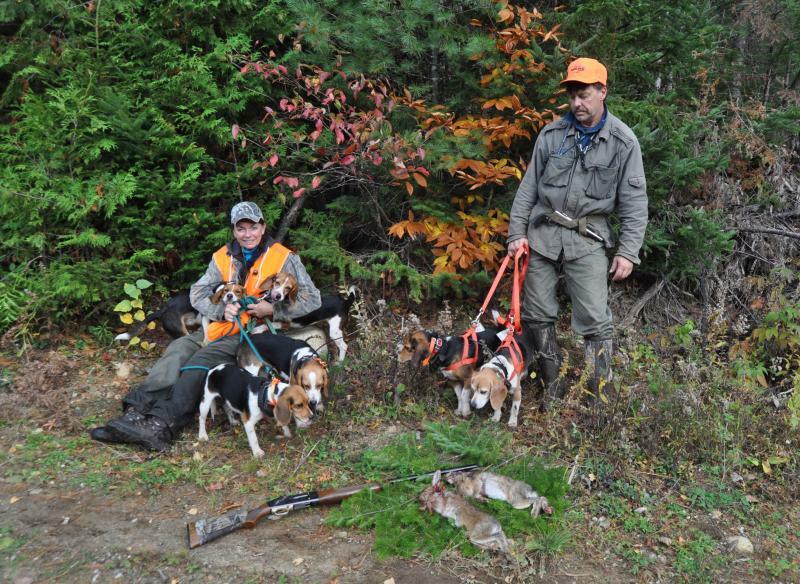 With deer season approaching dogs won't be running in the wild all of November. 12/02/11 ~ Hunting today with Barker Brook's Waylon Willie, Barker Brook's Stormin Norma, Wahkisik's Blackdash Baron & Wahkisik's Cosmic Cosmo‎. Lots of rabbits in this area but so thick hard to get a shot in. Dogs got a good work out!! 12/04/11 ~ Sarantis Parisis owner of, Artimis (whelped 5/30/09), her Dam: Xena Of Greenwood Forest, Sire: Barker Brook's Waylon Willie and Leeleeka (Whelped 6/13/09), Dam FC Barker Brook's Triscadeca, Sire: Barker Brook's Waylon Willie. The owner of these two Girls says they are unbelievable!! 12/07/11 ~ Wahkisik's Blackdash Baron (whelped 1/17/11) and Wahkisik's Blackdash Rocky (whelped 3/29/09) both of these fine young males are out of FC Barker Brook's 12 Gauge Anny and Barker Brook's Blackdash Bogey. Owner Jerry Gautreau is very happy with these two Boys!! ﻿﻿﻿﻿12/09/11 ~ Didn't just let the dogs run today...did some serious shooting. 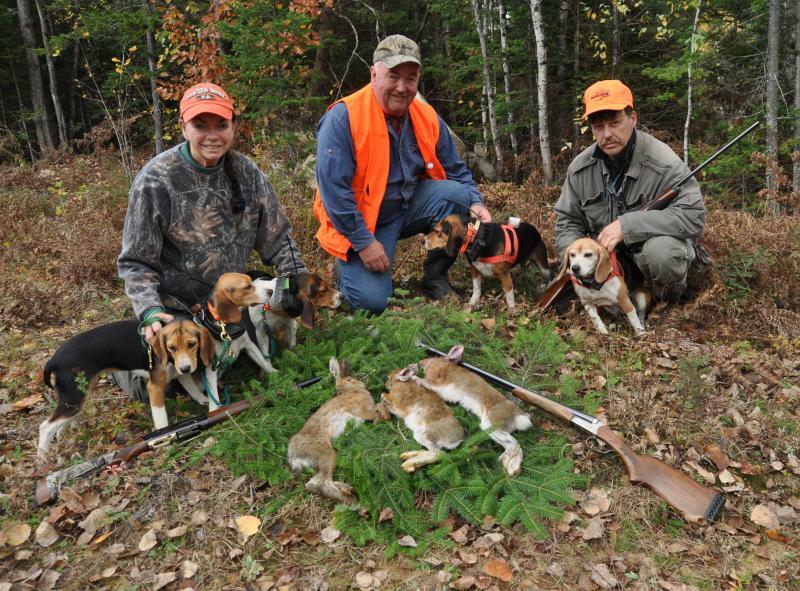 Christmas is almost here and had to get a few more rabbits for them meat pies!! Jerry got 4, I got 2 and Jack got 1. Jerry with his dogs Xena Of Greenwood Forest & her son Wahkisik's Cosmic Cosmo (whelped 5/30/09) Sire: Barker Brook's Waylon Willie, Jack & I with our dogs Barker Brook's Dejavu (whelped 6/13/09) out of FC Barker Brook's Triscadeca & Barker Brook's Waylon Willie and Barker Brook's Moon Eclipse (whelped 1/30/11) out of FC Barker Brook's Triscadeca and Barker Brook's Blackdash Bogey. A nice action filled day with our Dogs!! 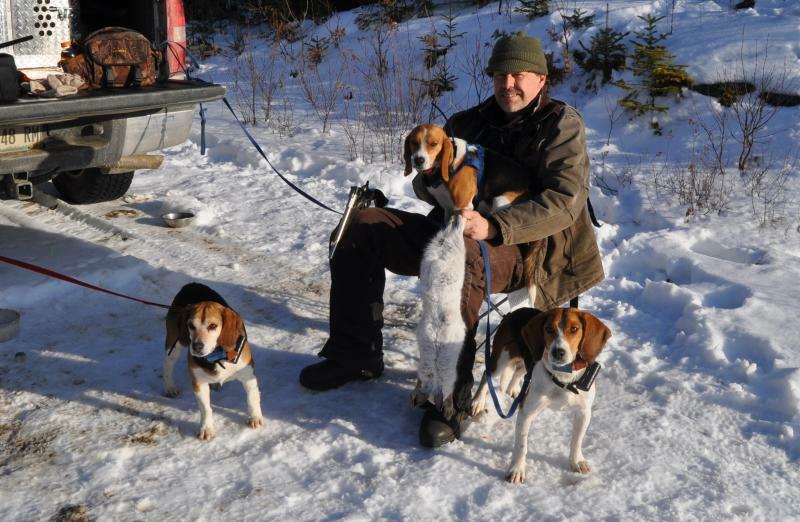 12/10/11 ~ ﻿Jerry with his dogs Wahkisik's Blackdash Baron (whelped 1/17/11) & Wahkisik's Blackdash Rocky (whelped 3/29/09) Me with Barker Brook's Pistol Packin Piper (whelped 1/17/11) and Barker Brook's Blackdash Bogey. This Hare gave them some good running.... fun to see these young ones run with their Sire Bogey. 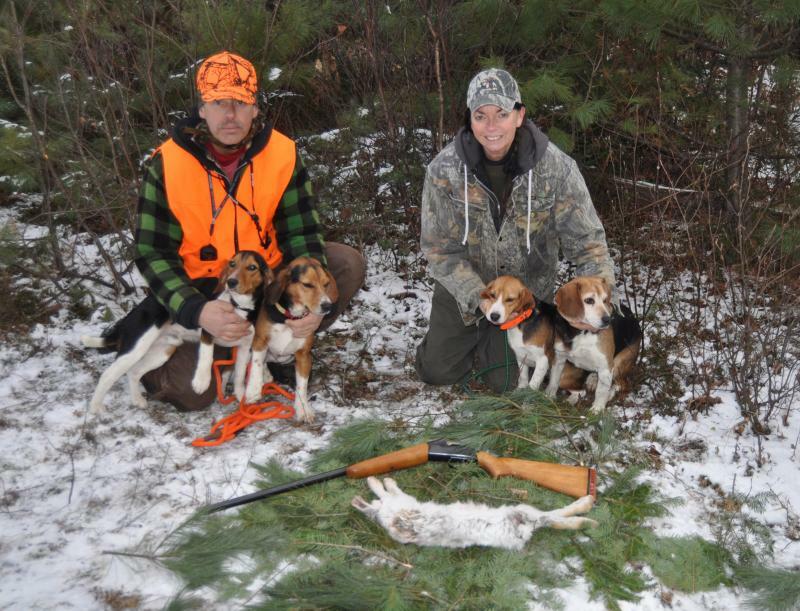 This is Doles Hare Magnet (Maggie), whelped 1/17/11 out of FC Barker Brook's12 Gauge Anny & Barker Brook's Blackdash Bogey she is owned by Ross Dole Unity NH. This fine young hound has also placed in a Derby before her 1st birthday.... Loves his Girl!! This is Kib's Brandy Girl whelped 1/17/11 out of FC Barker Brook's 12 Gauge Anny & Barker Brook's Blackdash Bogey, she is owned by Ray Kibbey Newport NH. Brandy has placed in 2 Derbies before her first birthday. Ray says he is very proud to own this Girl... Loves her!! 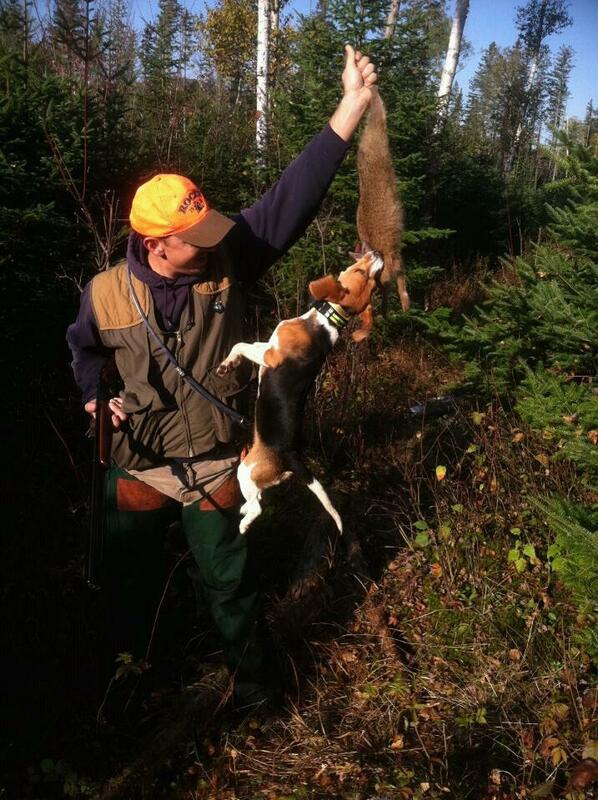 Nice to see these young hounds doing what they were bred to do by folks that brought out the Best in them!! Nice Going Guys! !